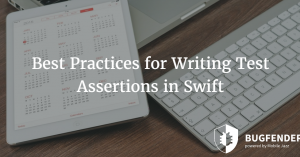 Beta testing is one of the most important phases of the software development lifecycle. Beta testing serves multiple purposes, though all of those initiatives lead to one thing – improves customer experience. Users are now smarter than ever and they know the options they have; if you fail to deliver a good user experience through your mobile apps, they would move on to other apps and would never come back. 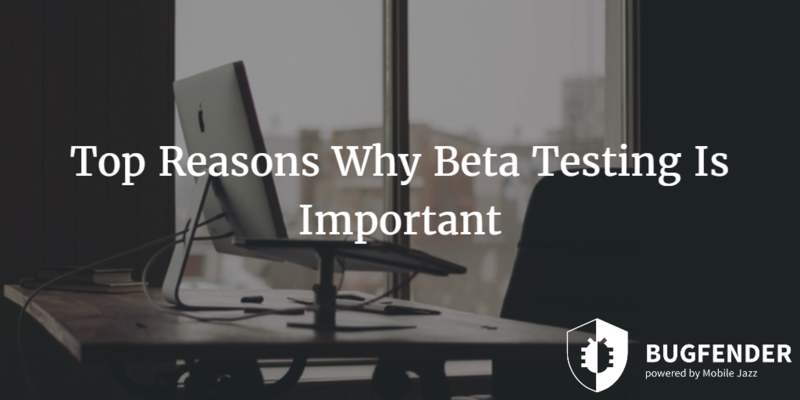 Quality, performance, stability, security and reliability are some factors that are achieved by doing beta testing. Let’s talk about the important of beta testing and how it can improve the user experience to a whole new level. That’s the main purpose of beta testing as this phase allows developers and testers to evaluate the overall app experience from users’ point of view. Functional testing makes sure all the features of your app are working fine and they would perform as expected. Developers have to maintain the functionality and quality of their app simultaneously as sometimes too much functionality can harm the quality and user experience. Actually the usability factor has nothing to do with the quality of app because it depends on individual’s preferences and usage. However, the purpose here is to find a balanced and optimal solution that would be suitable for the majority of the target audience. Beta testing provides thorough feedback about the usability and user experience, and based on that feedback developers can improve the app, its features and design to meet the requirements of the users. That is one of the most obvious and useful advantages of beta testing; the testing phase allows developers to quickly discover bugs and fix them. It is better to discover bugs before users do because once users get annoyed of abnormal behavior of an app, they never come back. In other words, you don’t get a second chance for the first impression. Other than this, beta testing allows developers to discover bugs caused by earlier changes and fixing. As this is an evolving phase, sometimes detecting and fixing bug could take iterations. App stores, especially Apple App Store have strict guidelines and the submission process could take weeks. Of course you don’t want to spend many weeks just to discover that your app had some bugs and the app store has rejected it. The beta testing eliminates this chance by ensuring your app is of high quality and built according to the provided guidelines. The performance tests are designed to analyze the speed and performance difference of apps in controlled environment and in the real world. There are many factors that can affect the performance of an app and some of those are almost impossible to reproduce in the lab. For example, sometimes an app performs differently on two exact same devices because of other apps installed on them. So, the performance tests conducted in the lab are almost useless in the real world and the only way to analyze the performance of an app is by putting it on test in real world. Another benefit of beta testing is free advertising and marketing; when you release the beta version of your app to a controlled group of target audience, they feel themselves privileges and because they know this is a beta version, they expect some bugs and abnormal behavior. The beta version of your app can encourage early users to spread the word among their friends. However, make sure the beta version is presentable and does not have major bugs. Even if you have done the market research the right way, it is still a theoretical assumption that hasn’t been tested in the real world. Beta testing provide developers a platform to test different features of their apps on a controlled group of users and based on their feedback, you can add, remove or alter different functions. The idea behind this is to reduce the overall deployment costs of the product by introducing optimal features that the target audience likes. Of course this also helps developers improving the quality of their app. Releasing beta update is a relatively newer yet highly effective strategy that many developers have adopted in the last couple of years. If you are making drastic changes in your app structure or functionality, it is better to offer beta updates in order to give users freedom. People who are eager to see new feature would update their apps and people who prefer stability and performance would wait for the final release. Beta testing allows developers to test their app in a limited market where they can control the deployment costs. It is more costly to release the final version of the app for target audience, discover there is room for improvement, work on the updates and force users to update their apps again. In other words, you can test the waters with the help of beta testing without spending too much money. How Bugfender Can Help Your In Beta Testing Phase? Bugfender is available for Android and iOS devices; both of these platforms have billions of devices each and of course there are millions of apps and games available for them. 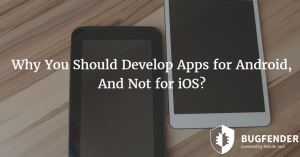 The point is the margin of error has become drastically narrow for developers because if one app is not working well because of unresolved issues or bugs, users would immediately move to other apps, providing the same feature. The concept behind Bugfender is to discover those bugs before users do, and fix them via update. Although the issue of fragmentation was earlier exclusively associated with Android but now there are too many iOS devices too. That means developers have to go to the extra mile to test their apps on as many devices as they can before releasing them in the app store; too many devices can either increase the development cost significantly or reduce the quality of testing – both of things developers cannot possibly afford in this competitive market. 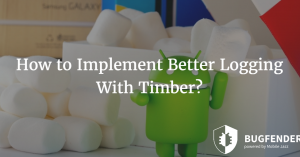 Bugfender resolves this issue smartly with innovative idea of providing developers and testers remote access to the logs of intended app. Unlike many other crash reporting tools that send crash reports to developers, Bugfender not only keep an eye on total failure, but also reports abnormal behavioral patterns and performance issues because not all bugs result in total crash. Some lead to instability, performance drop and security vulnerabilities. Why You Should Develop Apps for Android, And Not for iOS? as_ford Created with Sketch. as_autodesk Created with Sketch. as_starbucks Created with Sketch. as_websummit Created with Sketch. as_sk_telecom Created with Sketch. as_vorwerk Created with Sketch. as_slack Created with Sketch.